One of the most devastating issues that can happen to home is a flood, and sump pump failure is a leading cause of basement flooding incidences each year. Remediation and repair for basement flooding can cost thousands of dollars to repair, and the stress and property loss due to such events can be even more costly. 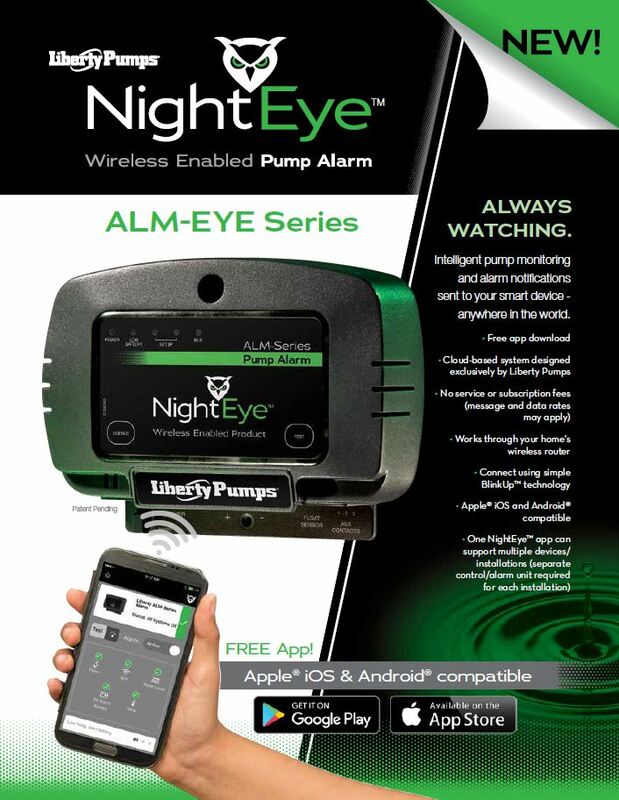 Liberty Pumps has developed the Night Eye™ device to prevent unchecked pump failures from turning into catastrophic incidents. The Night Eye™ system is a smart monitoring system that lets you monitor your basement from anywhere in the world. It connects via your home’s WiFi and sends real-time status information to your smart device. Alarm notifications include high-water level, low basement temperature, loss of WiFi, low battery and power loss. Perhaps the best feature is the absence of a monthly subscription fee – it’s included with the system. 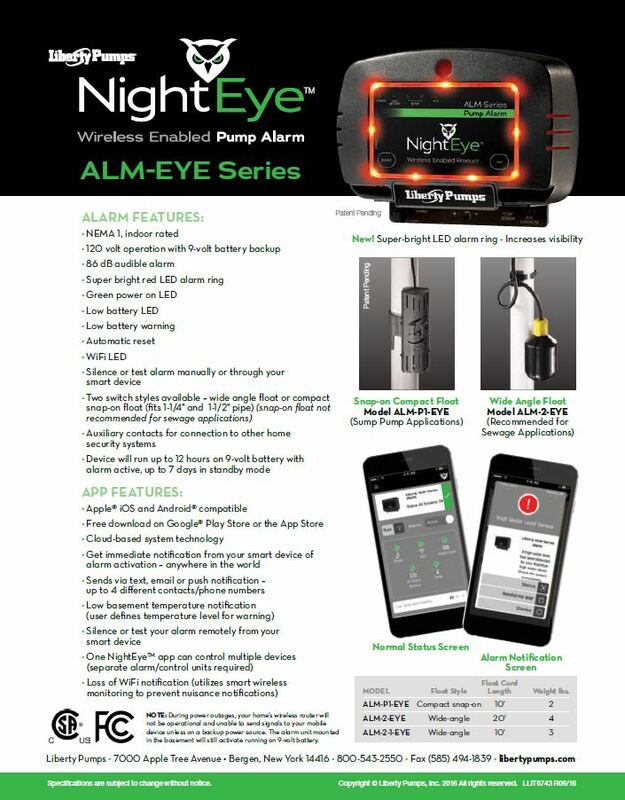 With wide-ranging applications for homeowners, property managers, and even professional contractors, Night Eye™ is a sensible addition to any home’s safety system. Hi there, I’m thinking of buying this product but I worry about how it will work in a power outage. I understand that the alarm itself has a backup power supply, but how will it send an alert to my phone if my wifi is down due to the power outage?